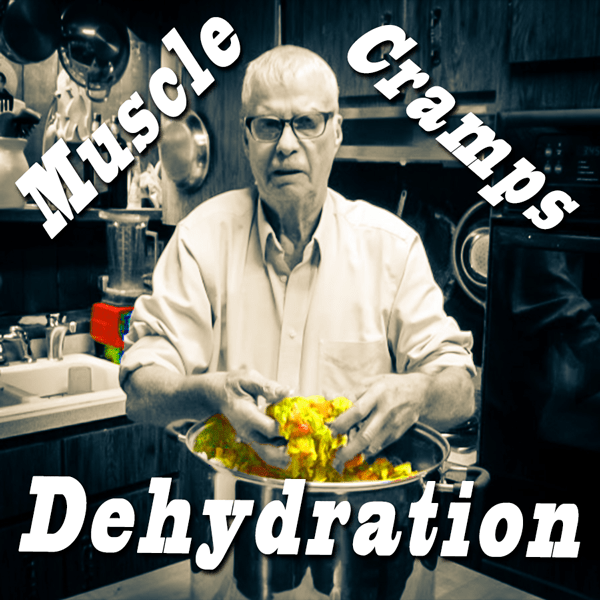 There is sometimes a link between Muscle Cramps and Dehydration. Being hydrated is important for your health and well being. When we get thirsty our bodies Are calling for water. When we mistake hungry for “thirst-for-water,” we might consume food–or drink other fluids––but, our hundred-trillion cells will still be calling for salt and water. We must have water to digest our food and throw out waste products. Sweat is salt and water–we must replenish both–salt and water. How Is Salt Water A Factor With Muscle Cramps? Our bodies run on salt and water. Dehydration and its chemical imbalances can cause painful muscle cramps. Many people get relief from drinking various types of pickle juice and/or other concoctions that contain, among other elements–vinegar. I suspect that these fluids contain the electrolytes that the body is asking for. The brain gets first priority for water and electrolytes. The rest of the body will suffer before the brain is finally effected. Muscle fatigue and then brain fatigue. The body’s many cries for water comes to the brain last. Foggy thinking and emotional upheavals can be the result of not enough water and electrolytes. Many of our important trace elements can be obtained from our food. Basic foods and live (uncooked) foods can fill the needs of our bodies. I like to buy food that has been grown in the good earth that is still fertile and has lots of nutrients–like Ohio soil.